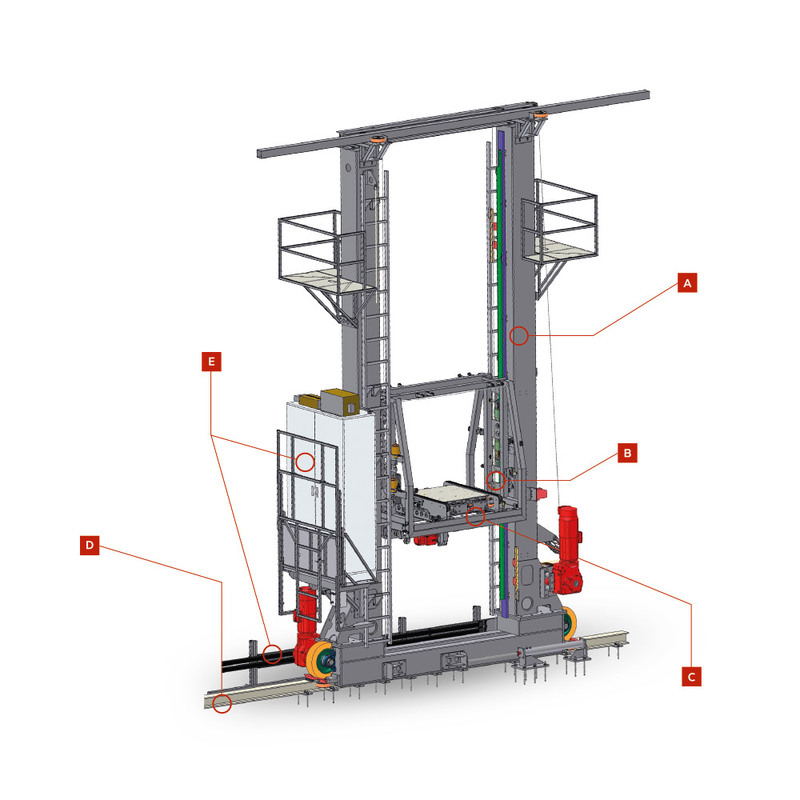 TRASLO represents a wide range of Stacker-Cranes for warehousing and handling of several different bulks and weights in the realization of automated logistic systems. 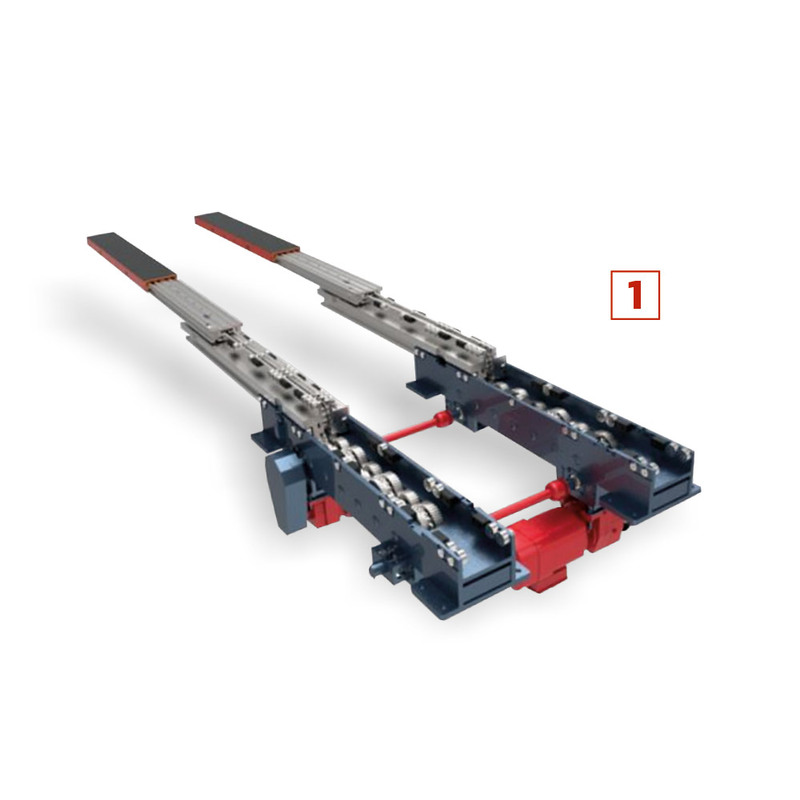 The telescopic forks are composed by a fixed body and overlapped elements moving bilaterally in a telescopic way to handle the loads from a central position to the shelving cells and vice versa. 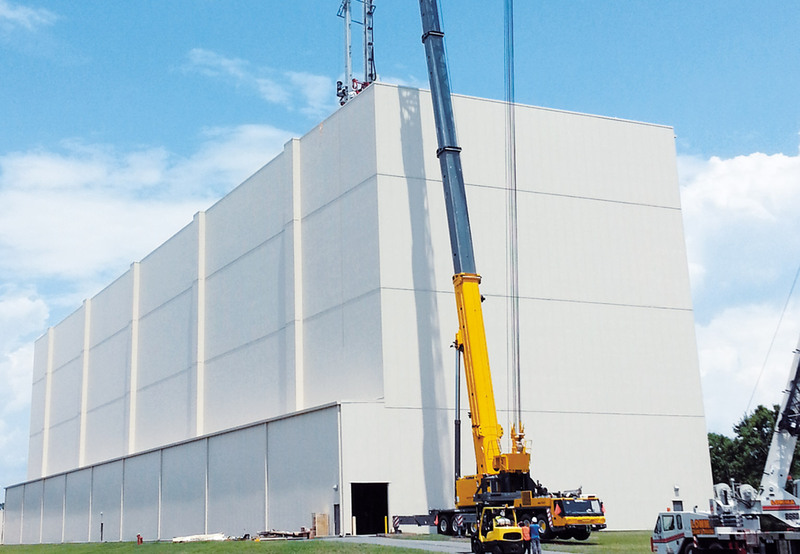 The tele-guided shuttle is moved by the stacker crane. 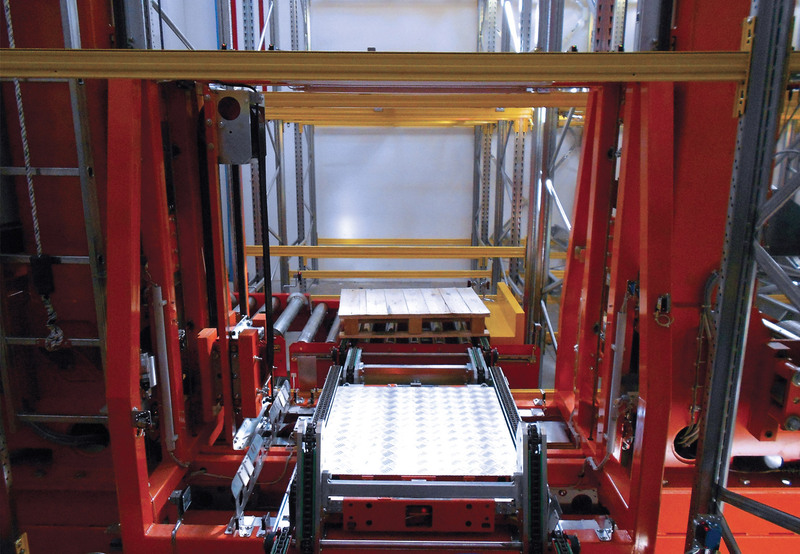 Its function is to deposit and retrieve the Load units in an autonomous way. 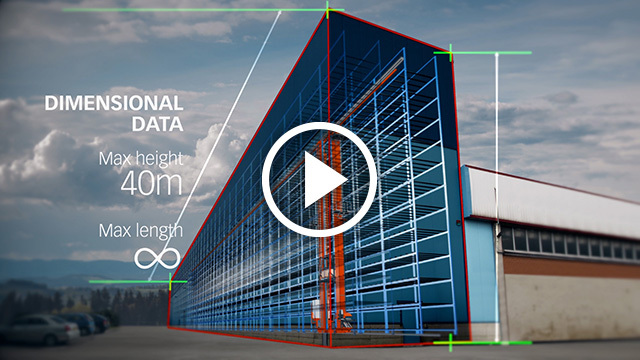 The Warehouse with Shuttle allows to store, on each level, a high number of pallets in multi-depth mode. 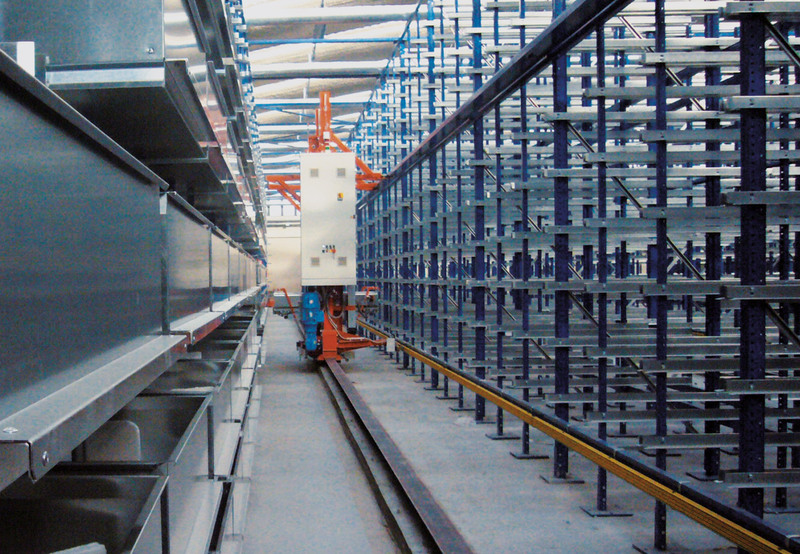 The shelves are provided with horizontal profiles to support the Load Units and to guide the Shuttle. 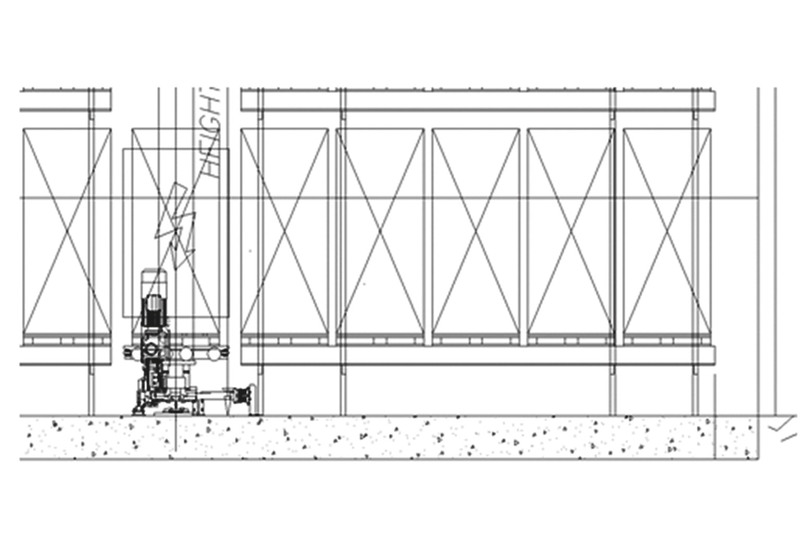 Those profiles integrate the drilling for the optical positioning of the Shuttle. 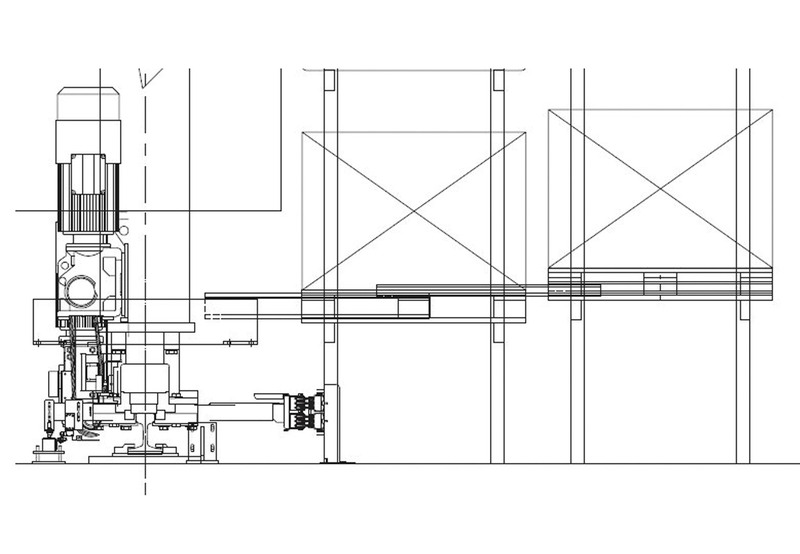 Max lift stroke: 40 mm. 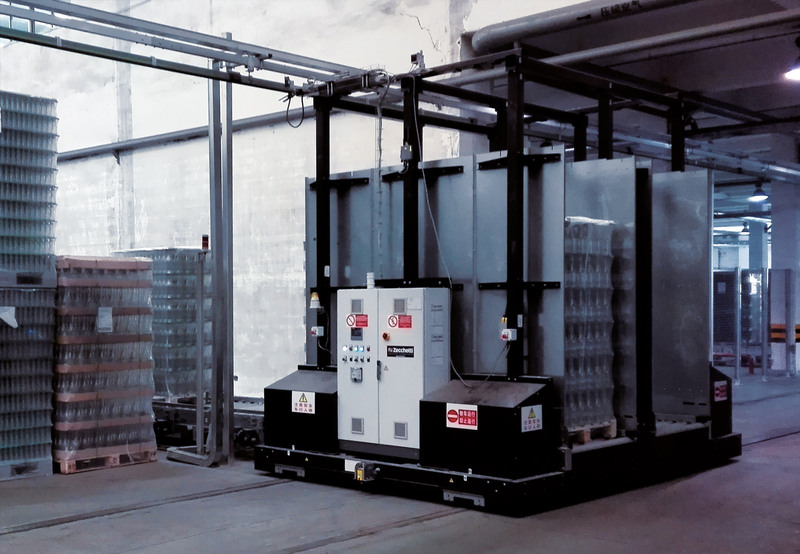 The integration of an Automated Warehouse into a productive process demands to handle the Load Units through the factory. 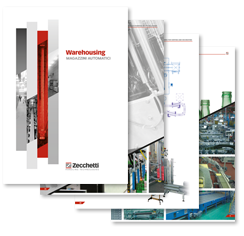 Zecchetti completes its supply by proposing the so called “peripheries” as well. 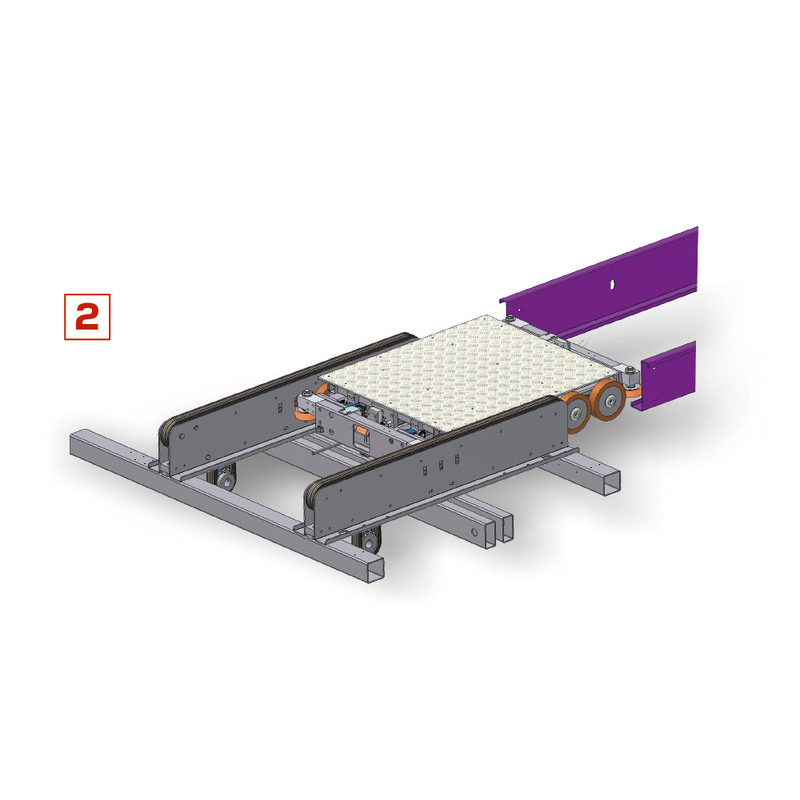 Roller or chain conveyors, rotary platform, etc., including the various Load Unit controls such as “shape control” and “weight control”. 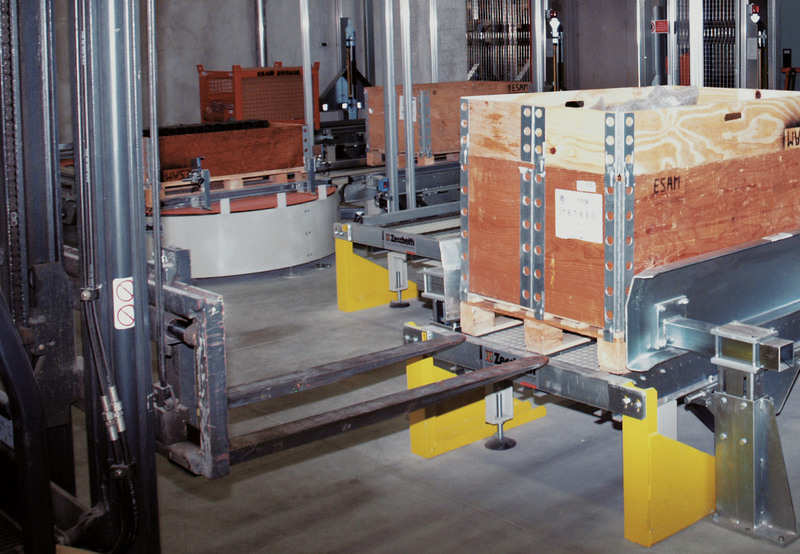 The Zecchetti Shuttle Car is available in various versions: 1, 2 or 4 pallet stations and may be provided with upper press to stabilize the load; it travels on grounded rails. 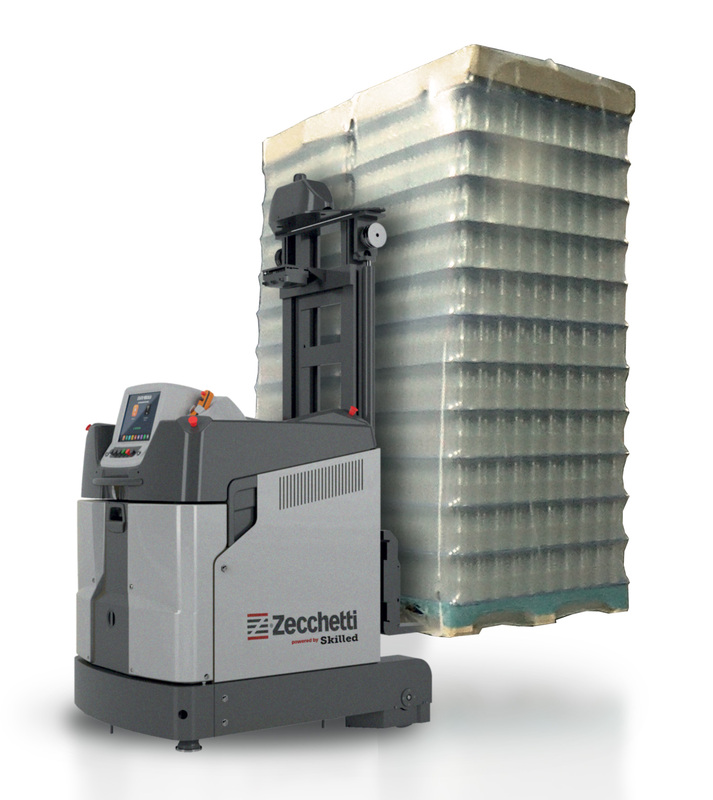 As an alternative to the Shuttle Car, Zecchetti proposes the LGV (Laser Guided Vehicle) which allows to move goods, bins, pallets, from /to planned position at the production zones, into the warehouse, etc. 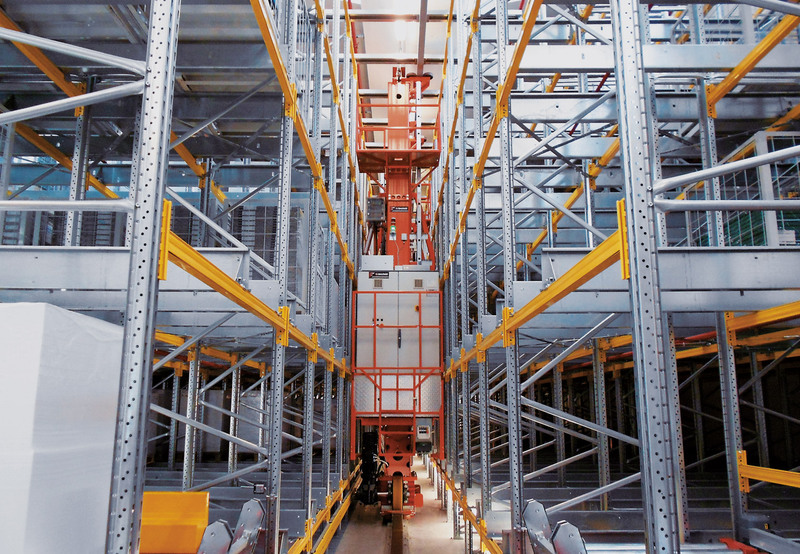 Our know-how assures “state of the art” logistic solutions. 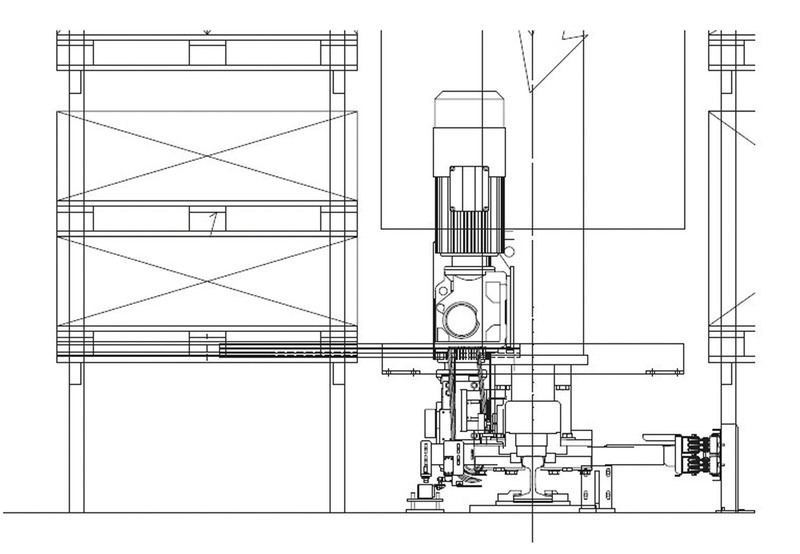 Our aim is to design and forward tailor-made AS/RS systems for matching customer’s needs. 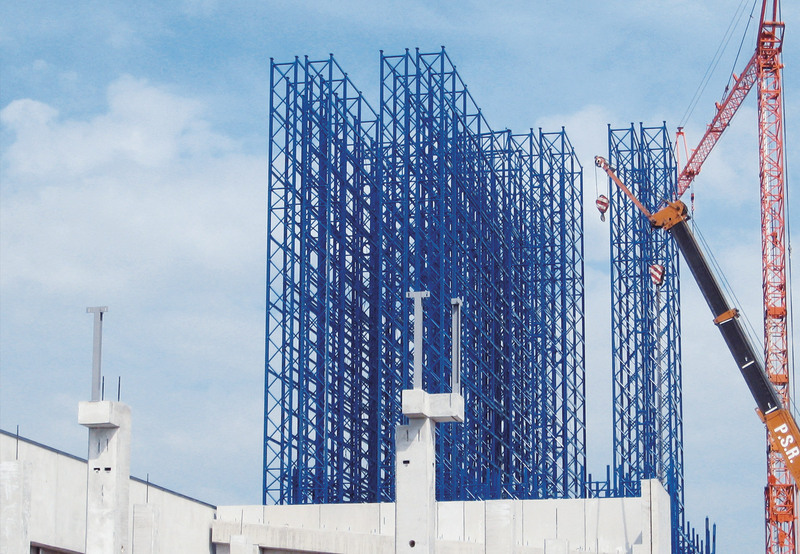 We are daily guided by passion and our strong experience attends the Customer since the early stage of the project: from the analysis of the needs up to the final fine tuning. 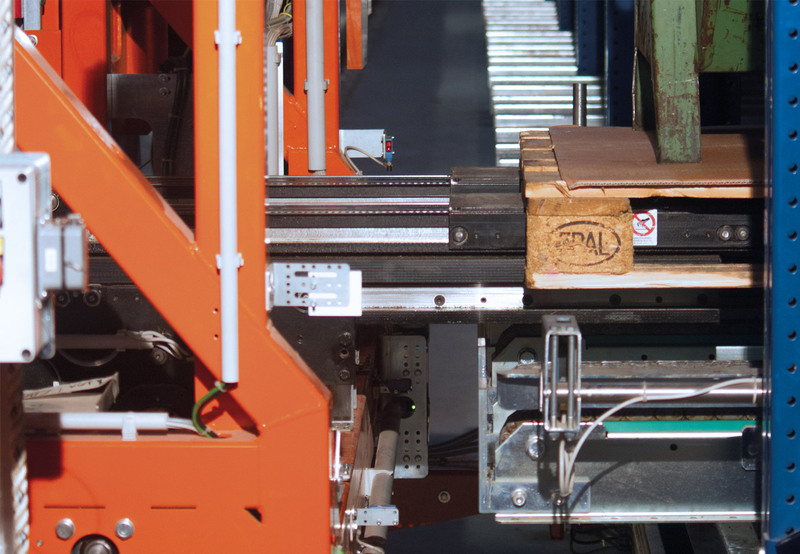 TRASLO, UNICO, SPAZIO and UNO range, 100% Made in Italy, permits to satisfy the challenging growing demand coming from the modern companies of reliable, rational and user-friendly goods-to-person logistic solutions. TRASLO KH H. UP TO 40 m.
TRASLO HH H. UP TO 32 m.
TRASLO MH H. UP TO 20 m.
TRASLO SH H. UP TO 12 m.
TRASLO MLH H. UP TO 18 m.
TRASLO MLS H. UP TO 12 m.